Did you know that it’s possible to beat a driving on suspended offense if the officer did not have a legal reason to pull you over? 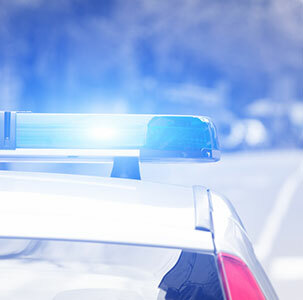 In order to be convicted of driving on a suspended license in Virginia, the officer must have a legal reason to pull you over. This defense applies to many traffic related violations, but if you’re charged with driving on a suspended license, it can be one of the key sources of victory. What happens when the police pull you over while your license is suspended? That usually leads to the driving on suspended ticket. But what if the officer didn’t have a legal reason to pull you over? Does that mean that they could still win their case? Fortunately, the answer is no. They need a legal reason to stop you. The cop can’t simply pull you over to check your license. That doesn’t mean they have to be able to prove you committed an offense, that just means they have to have reasonable suspicion. Reasonable suspicion is more than a hunch but it’s not concrete evidence. One issue that we can fight sometimes for a traffic stop for driving on suspended is if the officer claims that he ran your tags. Sometimes officers randomly run a license plate to see if it’s all valid, and the registered owner comes back suspended. Then they check DMV’s description for the registered owner and they see if the person driving roughly matches that description. If it all lines up, they initiate a traffic stop for a driving on suspended person. But what if the descriptions don’t match? Maybe it’s a person of a different gender, a different race, or some other obvious characteristic that the officer got wrong. In those cases we have a strong argument that the officer did not have reasonable articulable suspicion. Now, if it’s a discrepancy about the height of the people, that mistake wouldn’t be evident if somebody’s behind the wheel of a car. But something very clear like race or gender probably would not be reasonable to make that kind of mistake. We can argue to have the case thrown out. That’s the cool thing about fighting the actual traffic stop itself. If we win the stop, the case goes away. Did the stop occur at a checkpoint? Another source for potentially beating a driving on suspended case relating to the stop is if the stop occurred at a checkpoint. The police all over Virginia use traffic safety checkpoints to look for people who are driving on suspended, people with equipment violations, and, of course, people who are driving while intoxicated. If you roll up to a checkpoint and tell them that you’re suspended, they’re going to ask you to pull over to the side, and you’re going to get charged for driving on suspended. But does that mean in court? Just the fact that they had a checkpoint does not mean the checkpoint was done properly. There are strict rules and regulations in Virginia about how the checkpoint has to be operated. And again, this goes back to the unprepared attorney. I’ve seen many colleagues come into court to fight their client’s driving on suspended case, to find out that they were stopped at a checkpoint. They’re completely unprepared to argue about the checkpoint itself. And quite frankly, that’s just horrible. If I ever know that a client was stopped at a checkpoint or road block, I come into court with a pile of research, ready to argue and try to beat the case. In a lot of cases there is an argument to be made about the checkpoint. We may not win the argument because sometimes it’s uncertain about what exact paperwork the officers had and what exactly the requirements under law are. However, there’s usually some type of argument we can make about the checkpoint. At the very least it can cast doubt in the prosecutor’s mind about their case, and that can be enough to secure a favorable deal for your case. Did you know you can beat a driving on suspended offense if the officer did not have a good reason to pull you over? Let’s find out what that means. 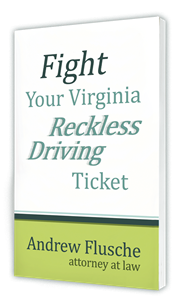 Hi, I’m Andrew Flusche, your Virginia traffic attorney. One of the first things we have to look at for a driving on suspended offense where the officer actually pulls you over, is did he have a good reason or not to make that traffic stop. Before we go on to that, let’s pause and look at this. What we’re talking about here are cases where the officer actually turns on their blue lights or their siren or something and actually stops your vehicle. If you were involved in an accident and they just come up and ask for your license, that’s a different scenario. It’s also a different scenario if you’re stopped at a checkpoint or a roadblock, and another scenario would be if you actually just stopped your car yourself and the officer comes up and starts to talk to you like at a store or something. What we’re talking about here are cases where the officer actually initiates their emergency equipment on their cruiser and makes you pull over. They have to have a legal reason to do that and what they do is reasonable, articularable suspicion that you violated some law or traffic offense or that some other criminal activity is afoot. Essentially, it normally means that they need to have some way to point out what law that they could say you were violating when they turned on their blue lights. In some cases, they pull you over simply because they know you and they know that you were suspended, but that’s not always good enough because if you’re suspended for something like fines and costs where any day you can go down to the courthouse and pay money and be unsuspended if you can get the money. That might not be a good reason to pull you over because at any given time your license could be fixed. However, if it’s a case where an officer knows that you’re suspended for DUI and you’re suspended for an entire year and they had just checked your license the week before and remembered that was you and you’re suspended for DUI for the next 12 months, then a judge would likely say that they’re allowed to pull you over for that if they can personally identify they saw you driving again. There’s definitely a lot of factors to look at and this is why, if you’re charged for driving on suspended, you should definitely contact me so I can help you analyze the legal reason they pulled you over, whether or not it is legal or not and whether or not we may have a defense there, because if we can fight that and win that issue, then we win the case because it was an illegal seizure in case where they pulled you over. If you’re charged with driving on suspended, definitely request my free report on driving on suspended cases and contact my office so I could try to help you with the case. Can a Cop Pull You Over Just to Check Your License?